What is the Total Life Freedom Elite Mastermind? As first talked about in the iconic, 1938 book, Think and Grow Rich by Napoleon Hill, a mastermind is a community meeting of multiple minds who bring unbiased feedback, encouragement and support along with a growth mindset to help elevate everyone in the entire group. Results speak for themselves. The TLF Elite Mastermind is a group of like minded, driven, humble entrepreneurs, freelancers and those looking to build businesses to create a life of time, financial and location freedom. We work together closely to challenge each other on our big dreams by working step by step to accomplish them. Whether it’s business, health, family or money- and often it’s a combination- we dive into it weekly on our calls and daily in our online communities. – If you are great at making excuses, this isn’t the right environment for you. – If you are “doing fine”, and not interested in growing, it’s not for you either. – If you are looking to grow your business but not help others, it’s not for you either. What are the benefits of joining the TLF Elite Mastermind? What are the benefits of being a member of the Total Life Freedom Mastermind? • Accountability- A vital part of a successful mastermind is accountability. Without serious, in the trenches accountability, goals are just dreams that never get accomplished. Nobody wants to be the one to show up on the call not getting done what they stated they would. The strong help the others get stronger. • An Engaged Tribe- Self employment can bring freedom, but it also can bring loneliness. As freelancers and entrepreneurs, we need to surround ourselves with people who understand what we are going through, and lend support, guidance and teamwork to our days. • Freedom Zones- Deep dives into issues members are facing, challenges they are working on, and intense focus on their goals from the mastermind. 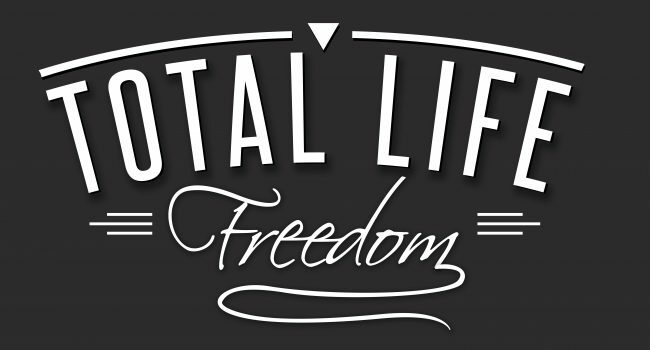 •Access to the Total Life Freedom Team- A private community of all of the mastermind members and Vincent’s one-on-one coaching clients. This includes additional office hours with Vincent, as well as guest speakers where mastermind members can ask questions to the experts, and niche schools that are being built. • Invitation to the Total Life Freedom Live Retreats- The retreats alone will be worth the value of your membership. There is nothing like face to face connection, brainstorming and masterminding when it comes to developing relationships both personal and with business. Plus, these are not stuffy conferences. We do it right, based around experiences and most importantly, time freedom to build those relationships. • Most of all, no B.S.- What makes us different than most mastermind groups? There is so much, but one thing stands out. If you aren’t doing the work, I ask you to leave! Seriously. I’ve been in masterminds, and it’s true that the one doing the least holds the rest of the group back. We’re not here to drink coffee and pretend like we want to do better. We are here to accomplish amazing things together. So if a member isn’t the right fit, they will be asked to to leave. This is to ensure that you get the most engaged, helpful and supportive community around you! The investment for the TLF Elite Weekly Mastermind is $350 per month. The Investment for the TLF Elite 2x Mastermind is $200 per month. The elite masterminds are facilitated by Vincent. To become the next on the waiting list, please fill out the form below! These groups are first come, first served until they are sold out. I don’t do any hard sells (I hate when it’s done to me, why would I do it to you?) and I don’t do any “This is closing on Friday at 11:59 pm” type of pitch. If you think this will take you to where you need to go, then come join this incredible group. If not, we’re cool! If you are interested in creating a life of time, money and life freedom, please tell us more about yourself here!